I do love a southern wedding, but you know what I love more.. a coastal southern wedding! Georgia has some of the most unique wedding venues in the country because of its rich history! The Georgia coast is full of great venues, but I wanted to highlight my favorites! So let’s get into it! Sea Island Wedding - I first learned of Sea Island as a young girl, my grandmother always spoke of where her super cool, surfer brother worked and lived.. life to the full. So naturally living on the opposite side of the state, far away from the coast I always dreamed of visiting! Sea Island does not disappoint, the views and service are out of this world. If you’ve ever dreamed of being in a Nicholas Sparks film, hear ya go! Sea Island offers a ton of ceremony and reception space- but these are the faves! The Greenhouse SSI - This venue has to be one of my absolute favorites! I love the modern, bohemian vibe mixed with all the white architecture.. It is a photographers dream! The Greenhouse is nestled on St. Simons Island, a picturesque beach village. Villa Ospo- Hello Spain! 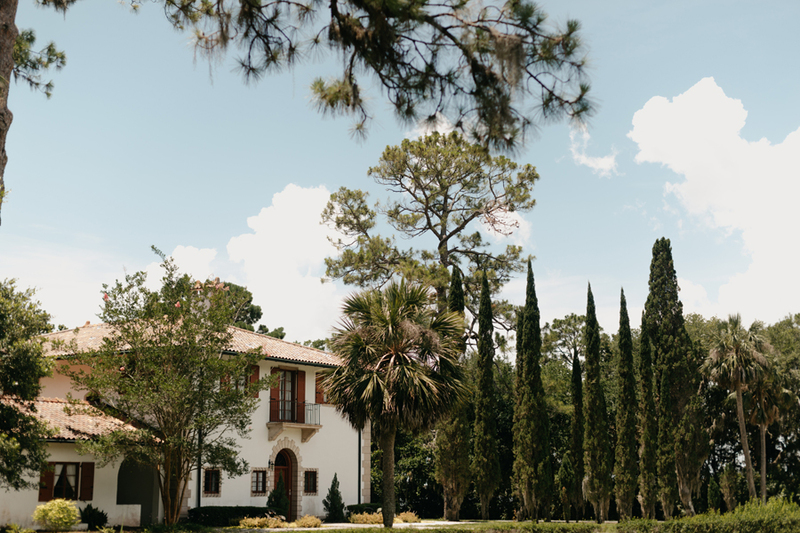 Villa Ospo brings your dream destination wedding vibes to the Georgia Coast. Villa Ospo is part of the Jekyll Island Foundation on Jekyll Island. Jekyll Island is full of rich history.. and if you’re anything like me that makes this villa even more intriguing. Villa Marianna - Another historical gem on the Georgia coast! Villa Marianna is also a part of the Jekyll Island Foundation, located on Jekyll Island. If you are a boho, eclectic gal this is your dream wedding venue! I mean just look at that lovely peachy color, mixed with the Mediterranean tiles and Spanish style roof. Helloo can I get married here!? Greyfield Inn - Do you have a love for wild horses, ferry rides, historical inns and private beaches? This is the epitome of a southern coastal wedding venue, It is truly spectacular. Greyfield Inn is located on the majestic Cumberland Island.. 200 acres, surrounded by marshland and the beautiful Georgia coast!